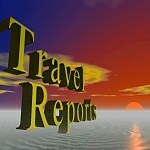 The Travel Report Ring is a chain of web sites containing travel reports to all kinds of places. You can skip from one web site to another and wander off to far and exotic places. This Ring is managed by Laurenz Bobke. Please email me if you have questions or suggestions. All sites that are part of the Ring have to contain a short piece of HTML code that will allow visitors to travel the ring. This code will be sent to you by email after finishing the signup procedure. The code has to be inserted on the main page of your site, or if your site contains more than just travel reports, on the page, where the reports section is located. In any case, the navigation has to be on the actual page you submit to the ring. Some site owners have special pages that consist of nothing but webring-navigation fragments. Not very attractive for visitors. Such pages will not be accepted into this ring. You have to be a member of Webring to join a ring and maintain your site. Membership is free. Please make sure to log into the system before applying for membership in this ring. Go to the "Ring Hub" and click on "Join This Ring"
If you already are a member of other rings, chances are that the system will tell you that the appropriate navigation code is already on your page. You can just wait to be accepted into the ring. when you have submitted your data, you will see a link "return to travelreport". Click on it. You will return to the "hub" of the ring. You site should already be listed under "Member Tools"
Click on "get navigation code" and paste the code into your page. This is the fastest way to get into the ring: I will check your submission and if all the above criteria are fulfilled immediately activate it. If you want to wait before altering your site: you will also receive an e-mail with the instructions on how to join. Again, I will look at the site and accept it, if it fulfills the criteria. However, as long as the code is not on your page, it will not be active in the ring, and you will not get any visitors from it. So, please insert the necessary code (Navigation bar) as soon as possible, - otherwise you will not participate in the ring and eventually be completely removed from it. What do you mean by travel reports ? Travel reports are not just plain infos about a place or a country. These can be found anywhere on the net. The Travel reports in this ring are accounts of personal experiences while traveling through the country. Sometimes they are called travelogues too. Such a travelogue may mainly consist of text or photographs or a combination of both. When I join the Travel Report Ring, do I have to put the same code as the other sites on my page? It would be nice if the code could be customized to fit the general layout of your site. And indeed, this is possible. Again, go to "Get Navigation Code". Scroll down. "Members who wish to use the HTML version of this nav bar should go here. " This gives you the HTML version of the code. You can change it to suit your taste as long as it remains functional. One word of caution though: With the standard code you only have to put the standard code on your site once, even if you join more than one Webring. HTML means, you have to haveto get the navigation for each and any ring you belong to. The standard bar has been designed in such a way that it looks good on most pages and is relatively small and unobtrusive - especially if your site belongs to more than one ring. There are two options: you can either use the "Server Side Navigation Bar" or a HTML design. The Server Side Navigation Bar has the advantage that you do not have to change your page every time you join another ring and that changes to the design (new logo...) will be done automatically. On the other hand, HTML is more flexible and you may make the navigation fit the general layout of your page. You can get the code for both options at the Ring Sites Overview. Just click on your site and then on "Get Navigation Code". Why not visit Discovery Travel Club? Can I change my information on the ring ? Certainly. In order to do this, you have to sign in here. There are now two types" of members: Those of you who joined before Webring became a part of Yahoo and continue to use the old "HTML fragment" and the new members who signed in under the new system or shifted their sites to the new system. Consequently, on the above page you have two ways of signing in, one with the old Site ID and password, the other one with your new Yahoo ID and Yahoo Password. If you are using the new Yahoo options, you will see a list of the rings you belong to and can edit your ring info by clicking on "edit". If you have forgotten any of the above: there are links there for helping you out. I have forgotten my password. What should I do ? Go to the Webring Homepage, you can retrieve your password there. Don't hesitate to contact me when you still have problems!